This sounds like something fun to get!! 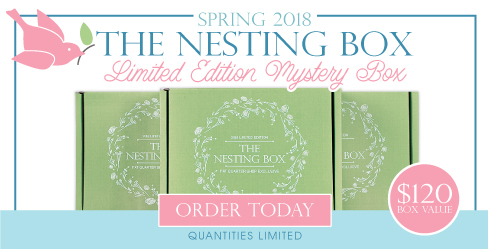 Right now, the Fat Quarter Shop has the Nesting Box - Limited Edition Mystery Box. This mystery box includes 11 charming mystery items including fabric, notions and more will put the Spring back in your step, so get yours today and settle in for a “dove-ly” surprise! This box retails for over $120 which is a $45 savings! 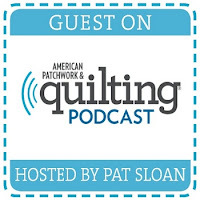 Supplies are limited - head over and get your Fat Quarter Shop Nesting Box now!